With winter drawing closer in the Northern Hemisphere, Connemara news is pretty hard to find. Below are a few items that may be of interest. The national Pony Show, Scotland was held in late August in Perthshire. The Olympia Qualifier saw Sandra Burton’s Irish bred Connemara’Coulillaun Cushlawn’ take out reserve award. 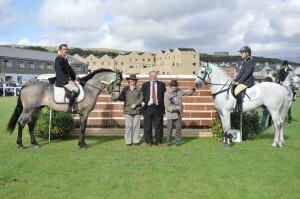 The ridden Novice final also saw a Connemara, Alison Granger’s “Crannard Special” being awarded the reserve award. There must be heaps more but nothing has come my way to report for you. In America, the 44th Annual ACPS Region 1 Breed show has been held. 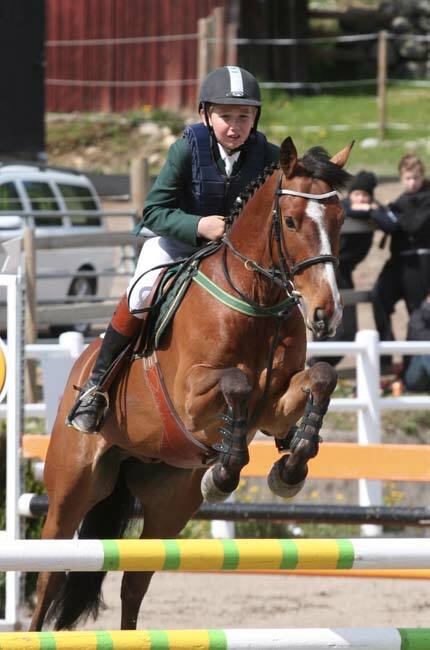 The weekend turned out to be a real winner for the Connemara’Bantry Bay’s Kenny’ and his owner- rider Lauren Ochs. The pair won the Lambray Seamus Award for working Hunter, the George A. Taylor memorial Trophy for Hunter under saddle, R.H.F. O’Harazan Perpetual Trophy for grand Champion Connemara, and the Sue Dexter Memorial Versatility Award. All versatility competitors compete in 5 of 6 catagories including Trail, Hunter, Jumper, Dressage, Driving and Pleasure. Trail is mandatory and includes travel through water, opening gates, checking mail boxes, crossing bridge etc. Not the usual areas for Connemaras to excel but Kenny excelled in all and took out the trophy. Who says Connemaras don’t like gates, water etc! From the USA also comes the sad news of the death of”Grange Finn Sparrow”. This lovely Connemara was foaled a the grange Stud in Ireland. Joe Day, Wexford, purchased him as a weanling and later showed him in Clifden. He was then sold him to Willy Leahy. He was the 1978 Clifden Champion in hand. Finn Sparrow was named Ireland’s top scoring Grade A pony twice and took 2nd place at his only Eventing outing at preliminary level whilst standing at Stud in Austria. He was imported into America in the 198’s and shown successfully throughout his years in the USA. He will be missed, I am sure, both in the USA and in all Connemara localities around the world. Susan McConnell’s Oakfields Farm had a day out on June 12 when the Region III show was held at Pine Top Farm. The show was reported as the biggest and best yet. This could also be said for Susan’s ribbon tally at the end of the show. Oakfields Hazel Sparrow (Hearnsbrook Dunoon – Oakfields Maria Sparrow) was awarded the Grand Champion Connemara trophy and was also awarded Best in Show. The ribbons continued! In the pure bred Connemara Mare class – 7 yrs and over- 1st Oakfields Amazing Sparrow, 2nd Oakfileds Diamond Jamie Gibson and 6th Oakfields Fuchsia. 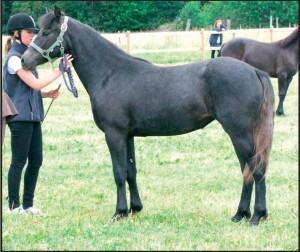 Pure bred Connemara Mare 3 – 6 yrs – 1st Oakfields Hazel Sparrow, 2nd Oakfields Linianne, 5th Oakfields Sapphire, 6th Oakfields Crimson. The Pure Bred Champion went Oakfields Hazel Sparrow with reserve Oakfields Amazing Sparrow. In the Open Hunter Crossrails – 1st Oakfields Jade, 4th Oakfields Lilianne, 5th Oakfields Crimson. Open Ponies 14.2 and under saw Oakfields Fuchsia taking the 2nd ribbon with 5th going to Oaklands Fuchsia. collect ribbons. Other Ridden classes saw a repeat ribbon flow for Oakfields Farm with an additional 15 ribbons being awarded. 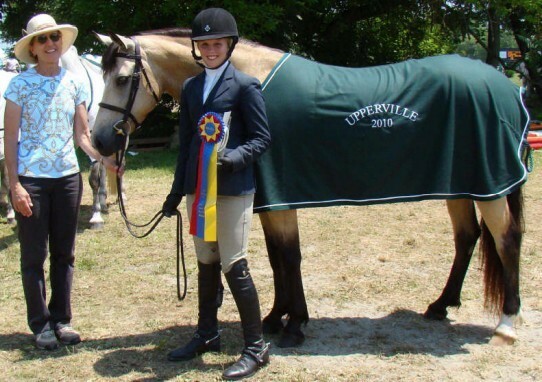 Reading a little further into the “American Connemara” magazine, Oakfields Farm had further a outstanding show at Upper Ville Horse Show with an additional 7 ribbons being won by Oakfields farm Ponies. From the USA Eventing world comes news that the imported Stallion Ard Celtic Art, ACPS Connemara of the year for 2009 continued his winning ways with rider Donna Miller, by taking 2nd place at the CCI One Star event at Chattahoochee Hills, GA. The combination was 3rd at the Ocala Fl. One star event in May. Will’Ya Love Me (Grange Finn Sparrow) and rider Courtney Sendak took 1st place at the Virginia Horse trials and moved up the Eventing ladder with further successful outings at Intermediate Level. The 5yr old Connemara, “Drummore Castle” ridden by Kirsteen Douglas was reserve Champion at the NPS Scotland Spring Show and also won the Picton Qualifier. The Scottish Connemara Group show in July was a most successful show. “Eastlands Wild Orchid” was awarded Pure Bred Young stock Champion and the Pure Bred Champion for the show went to “Bellindene Franklin”. Sarah Hodgkins mare, “Callowfeenish Mary” took the M7M Pony of the year at the Lincoln Show and Breed Champion. “Village Laura” was also successful with Vanessa Compton winning the in hand and reserve Champion. News to hand also indicates that three Connemara ponies and their riders have been selected for the English team at the WHP International Team Event that is to be held at Cavan Equestrian Centre in Ireland. “Smokin Gun” Gunsmoke – Hazel Dew) will be ridden by Hetty Woyka, “Tully Oisin” (Earl of Castleffrench – Tullinadaly will be ridden by Alice McCullagh and Elinor Strapp will guide “Dancing Hero” (Shannon Prince – Campbell Star). This event should see a number of Connemara Ponies competing. Early news from Ireland is that the Connemara festival in Clifden was a great event this year. Work had been done on the Arena and the surface was level, well drained and hardly a foot hole to be seen after over 500 ponies had competed. This was in sharp contrast with other years when ponies were hock deep as they moved, particularly on the upper or office side of the arena. The Friday events were fabulous! The Puissance was an exciting event with the rail rising to 155 cms and still 6 ponies left in the competition. The rules stipulate that the event must stop at that height and one has to wonder to what height these wonderful Connemara ponies would the rail would have risen to find an absolute winner. Much more news from the Clifden Connemara pony festival will be available shortly I am sure. Many of the overseas visitors will take home their own thoughts and these will appear in local newsletters etc. Tuula Pyöriä, Finland, Padraig Hynes, Ireland and Håkan Erlandsson from Sweden were the team of judges to look through this year’s colts in for inspection. Four three year old, three four year old and one five year old colt were shown to the judges. Out of the eight colts two were passed. Erinmore Golden Marble, a four year old whom has won a Best in Show last summer and he won the Championship for three year old ponies, all pony breeds, for his movement. edriksminde Hazy Marvel DEN 68. He is born dun but is going grey and measures 146 cm, 20 cm cannon bone. The judges gave him 9 for type, 8 for head, neck and body, 8 for his limbs, 8 for his walk, 8 for his trot and canter. In his performance loose jumping he was awarded two sevens. 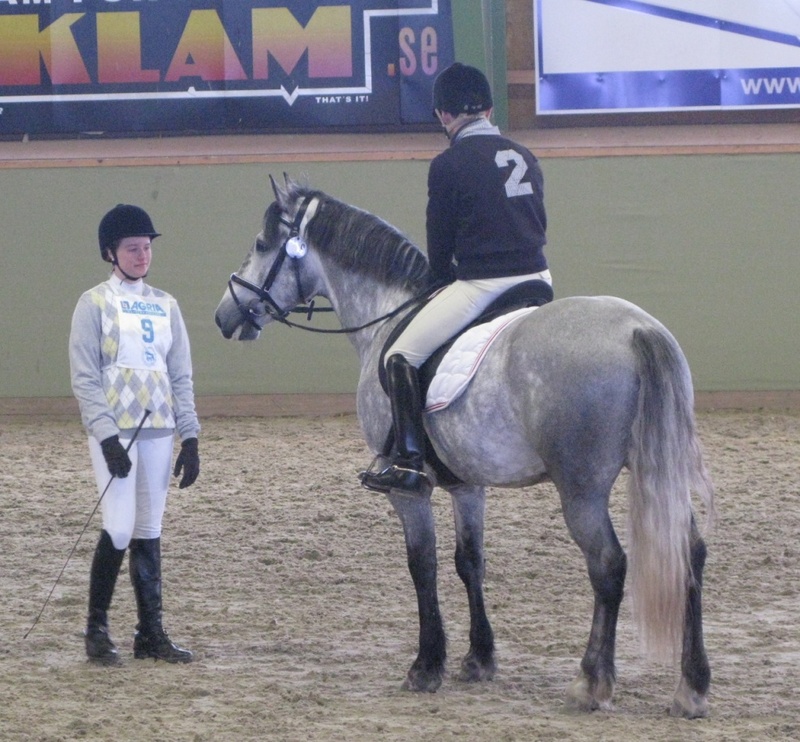 Number two to pass the inspection was the five year old grey XL Broderick, a son of Coosheen Finbarr RC 99, his first group of offspring in Sweden. Finbarr himself being awarded on the Saturday with the letter of value A for his good progeny in the show ring. XL Broderick’s mother is Moyode Aisling RC IRE 8358, a super performance pony herself. 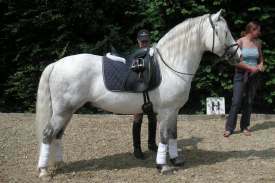 Her sire is Grange Finn Sparrow IRE 659, top of the list’s stallion in Ireland. XL Broderick was given so many words of appreciation for his ride ability and way of jumping the poles, for his temperament and paces. His figures was, three nines for jumping, his paces were, 8 for walk, 7 for trot, 8 for canter and 8 for temperament being ridden and the test rider gave him three sevens, ridden paces, temperament and ability. For his exterior he was given 40 points out of 50. XL Broderick is bred and owned with Dan-Axel Danielsson. Springtime means stallion inspections and this year’s Swedish inspections were held the weekend of 20 – 21 March. 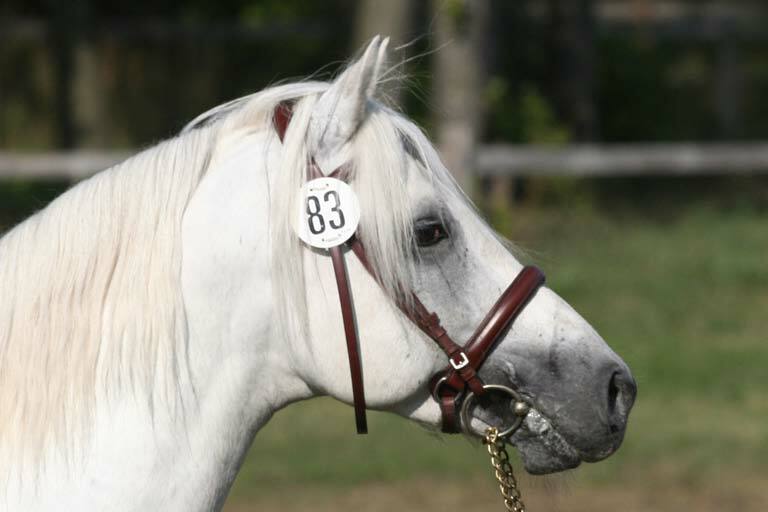 The new approved stallions have already been presented elsewhere. Coosheen Finbarr (by Glencarrig Prince out of Scarteen Mistral) had a good weekend at the inspections and in addition to having his first son approved he was also awarded an A premium at the age of just nine, for the good conformation of his offspring. Another stallion to be awarded his A premium this spring was Ashfield Cathal Crobdhearg (by Ormond Oliver out of Ashfield Lor Sparrow) who has also proved to sire good quality offspring. More sobering news reached us earlier this year when the stallion Kilpatrick Fionn (by Abbeyleix Fionn out of Moorland Juliet) had to be put down due to melanoma. 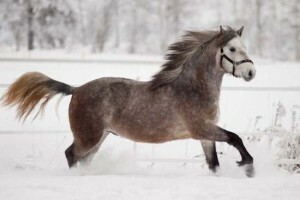 This stallion has had a rather short but brilliant show jumping career in Sweden crowning it with participating in the European show jumping championships in 2005. Sadly he has not had time for breeding due to his commitments as a show jumper and it was a cruel twist of fate that his owners had planned to use him for breeding this year. 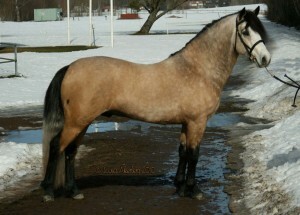 But it was not to be and there will be no foals by this nice stallion in Sweden. Summing up last years dressage results there are Connemaras right up fighting with the very best. The Connemara taking the most dressage competition points for 2009 was the gelding Backens Lotus (by Rolls Royce out of Princess Jasmin) who finished on a creditable overall 4th place with a large number of wins on a national level and several placings in Elite competitions. Another of Rolls Royce’s offspring to make the top 100 was Lotus II (out of Lorette V) and Rolls Royce had no less than eight offspring winning dressage points during 2009, most of them born in the 00-ies, so we can surely expect to see his sons and daughters in the dressage arena for many years to come. 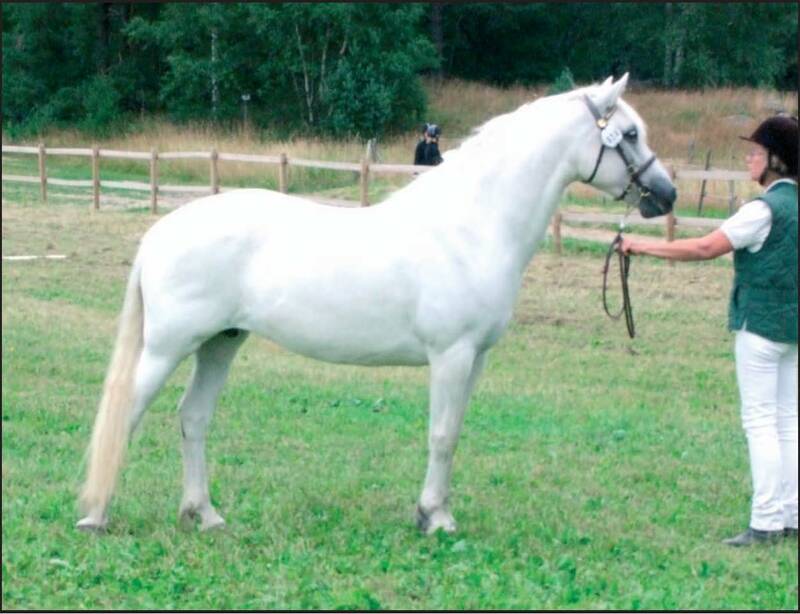 Rolls Royce’s full brother Juno Rory (by Rory Ruadh out of Brantshammar Julie) was in his heydays one of Sweden’s most successful dressage ponies taking several successive riders to the highest national level. 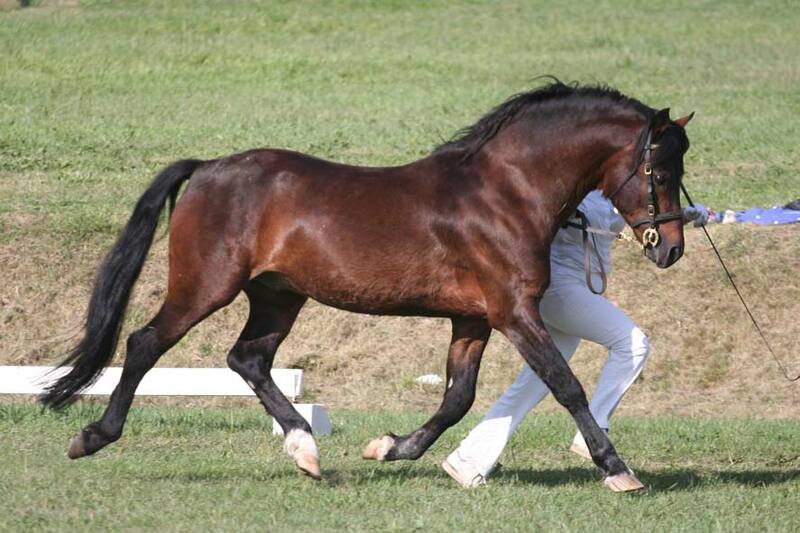 Like Kilpatrick Fionn competing meant little time for breeding duties, but one of his few sons, the approved stallion Golden Garlic (out of Ambrosia) has followed in his sired footsteps and was another one to make the top 100 in the dressage rankings. 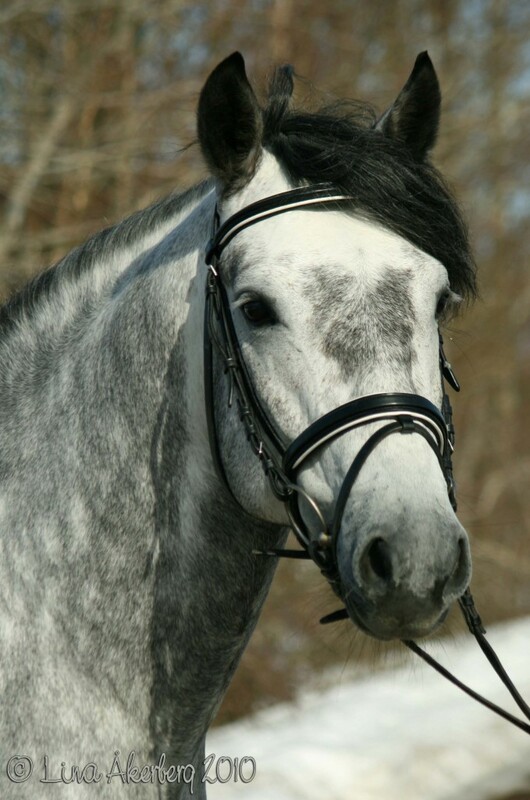 A final little connection to Rory Ruadh is the part bred Chopin AM, bred in Denmark and number 21 among the dressage ponies in Sweden last year, and the highest ranking part bred. His maternal grandsire is the Connemara stallion Tootle U who is another son of Rory Ruadh. Another successful dressage sire is V ̈arnbergs Orion who has three offspring on the top 100 dressage ponies. 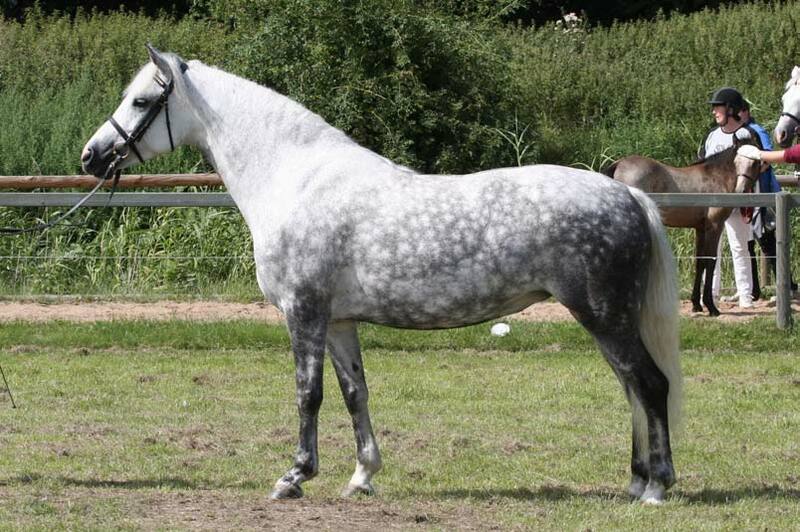 The highest ranking of them is the mare Hagens Rosmara (out of Hagens Andora) who is 12th in the dressage ranking for ponies of all breeds. 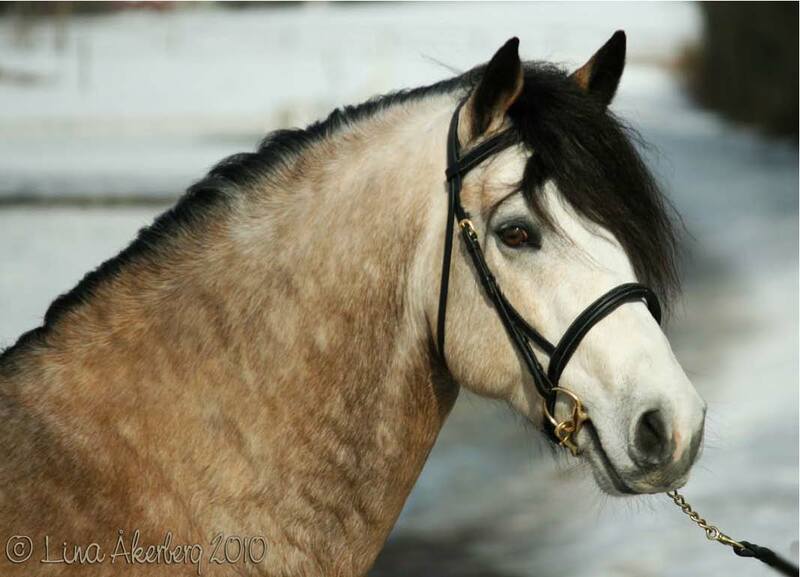 She is another one to have had a very successful year 2009 including competing at the international horse show at Falsterbo. Sadly her rider is now too old for competing in pony competitions, but what a fine year to finish off their career together. Rosmara’s two half brothers to also make the top 100 were Olbiz Tellus (out of Twilight) and Hagens Qumulus (out of Hagens Fondora) and Orion has another two sons taking dressage points in 2009. 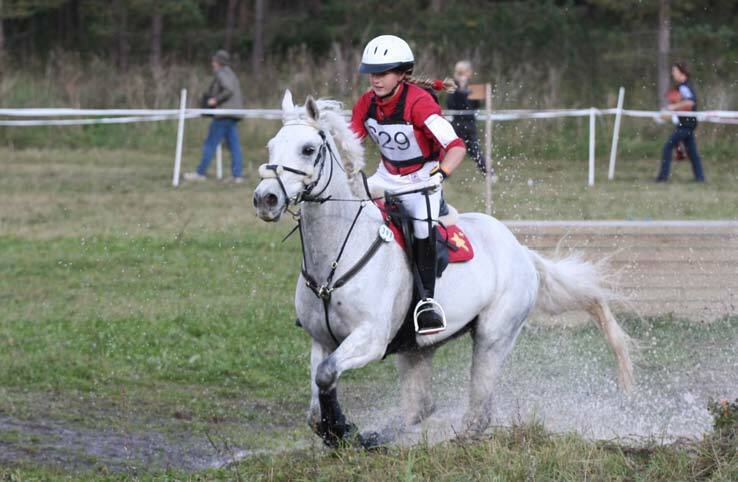 Eventing in Sweden is not attracting a huge crowd of competitors these days, and there were only two Connemaras winning competition points last year, the two stallions Grange Flynn Sparrow and Nice-n’-Curly. At the end of the year Nice-n’-Curly (by Nice-n’-Easy out of Corinne II) was the one to have accumulated more points and finished in 12th place with Grange Flynn Sparrow (by Ashfield Festy out of Grange Agnes Sparrow) a bit further down the line. 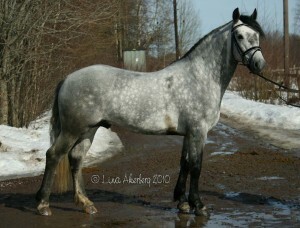 In addition to the pure breds there were also four part bred Connemaras gaining eventing points last year, with Lillefot (by Frederiksminde Hazy Chance) being the highest placed in fourth place after a successful year crowned by an individual 9th place in the European eventing championships. In the show jumping the Irish-bred Connemaras have, as always, done really well in 2009, but the most successful of the Connemaras was a French-bred, the gelding Ix de l’Aulne (by Dexter Leam Pondi out of Castille de l’Aulne) who competed internationally and crowned the season by taking a gold medal at the indoors Swedish championships. Three Irish-bred Connemaras made the top 100 show jumping ponies this year. The highest placed of these was Lexus Justice (by Westside Fred out of Dunamoney Lass) who was 12th. 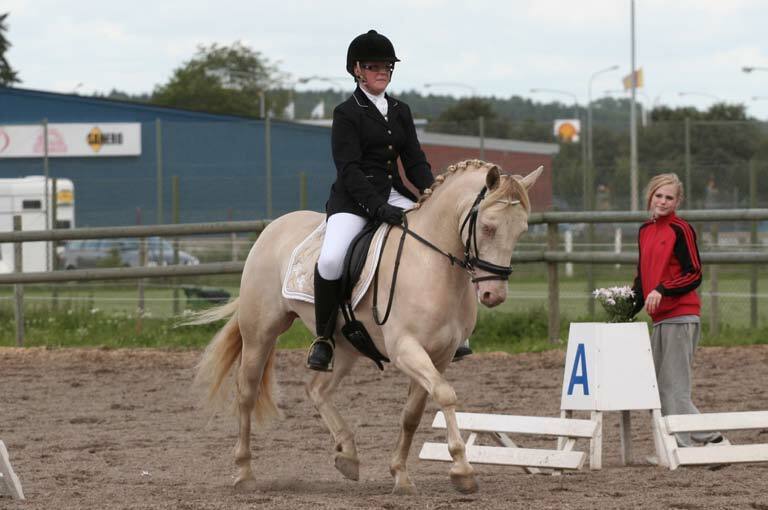 During the year he competed not so much in Sweden, but he went to several international competitions and was won two classes at Freudenberg. Lexus Justice was also part of the Swedish team at the European show jumping championships. With him at the championships was another Irish-bred Connemara from the top 100 list, Some Man for One Man (by Ashfield Bobby Sparrow out of Misty Maiden). He also competed at the Nordic-Baltic championships and was placed at the Swedish championships both outdoors and indoors. 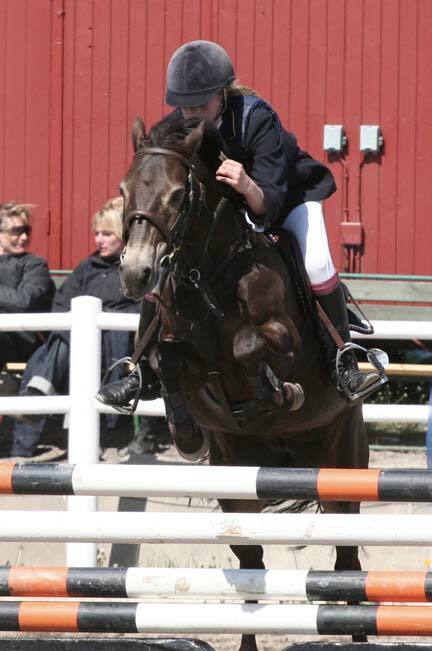 The third Irish-bred Connemara on the top 100 is Sceilig Siofra (by Deise Sam Maguire out of Gentle Jessie) who had a successful year among the ponies 130 – 140 cm with team silver at the Nordic-Baltic championships and an individual bronze at the Swedish championships. The last two Connemaras to make top 100 are both bred and born in Sweden. 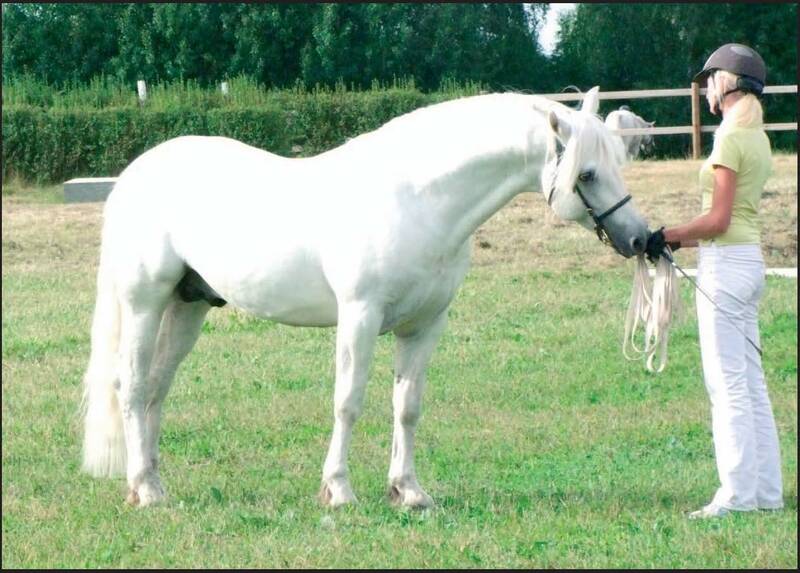 Desdemona (out of Ti-Ti-Oo) is by Brol ̈otens Joop who is by Finney Master (incidently also the sire of Rory Ruadh). Poetic Annie is one of the many good show jumpers sired by Poetic Justice (now in France) while her mother Myrens Anitra is by Nice-n’-Easy, another sire known for his performance offspring and also the sire of the eventing stallion Nice-n’-Curly. The show jumping season of 2010 is already well under way and some ponies have already been out to compete internationally. The one that has done best so far is the French-bred Ice and Fire d’Albran (by Dexter Leam Pondi out of Underline of Laps) who has won both in Middelfart and Vilhelmsborg and was placed in Zwolle. 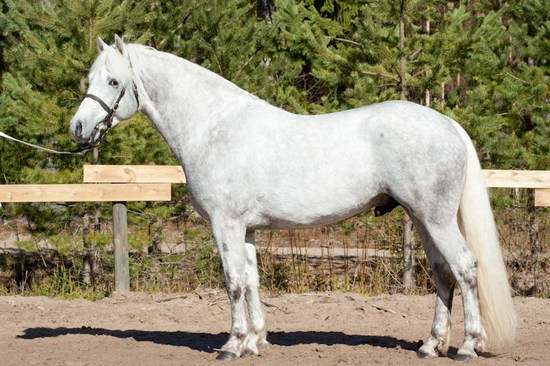 The French Connemara seems to become increasingly popular (and successful) in Sweden as the top ten jumping ponies so far this year includes no less than three French-bred Connemaras. In addition to Ice and Fire you will also find Lover de Vauper (by Thunder du Blin out of Daphne de la Dive) and Idefix du Villon (by Quignon du Parc out of Hilda des Ludes). With all three having already been out competing on the international scene it will be interesting to see what happens once the European championships are approaching.